I was writing the last quarter of a novel. Lots of intensive work in the course of a day. I usually try for a couple hours of walking outside, but it doesn’t always happen. One day, in a later evening than usual for me, I set out for a wander in the immediate neighbourhood. A reasonable walk away is a small park, run (it is obvious) by the Roman Catholic church. Three park benches, one picnic table, trees and flower beds. There is also a statue of the Virgin Mary in blue vestments. At the foot of the statue are two objects from the Halifax Explosion. One is part of one of the ships that collided and caused the conflagration, the other is part of a church destroyed in the explosion. Now this is a pleasant place to sit regardless. However, it does hold two connections to my novels. In one novel, I have a significant and spectral occurrence happen at the foot of the statue of a Blue Angel. In another novel, the Halifax Explosion plays its part. I had written both these novels before I ever saw this small park. So, I sat myself down. I imagine I go there four or five times a year. It is quiet and encourages contemplation. I contemplate. I doubt I have ever seen more than three other people there at any time. I was alone. I assumed that I would remain this way. In fifteen minutes or so a gaggle (or a giggle) of young girls appeared. Easily two dozen. None looked older than ten. They were accompanied by four adults. They all held a kite of identical construction. They were let loose to fly them. A few of the girls were wearing a sash, and a couple more had badges on their shirts. I assumed they were some sort of Brownie troupe. Don’t Brownies fly up? At any rate they all started to run about, encouraged by the adults. If nothing else it was great exercise. It was a windy evening and they had some success with their kites. A handful got the hang of it and kept their kites more aloft than not. Of course, I got hit in the head by one of them. The child apologised. Otherwise I was ignored. I bet with myself how long this activity would last. I won. Less than fifteen minutes. Then the girls banded in twos and threes and talked. As did the four adults. One girl started to do cartwheels – quite successfully. The girls walked around in groups, talking and giggling. A few sat on the grass. 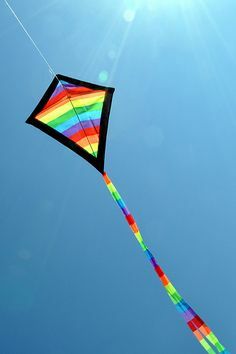 A few did try the kites again, but not for long. One girl somehow got the string leading to her kite caught in her hair. Two of the adults tried to untangle it, with limited success. I heard one of them say they would have to use scissors when they got back to the church. Then, being told to hold hands with their ‘partner’, they all left the park. I followed soon after. I might not have got my usual bout of contemplation, but my mind was still occupied by other than my usual thoughts. A fair exchange.